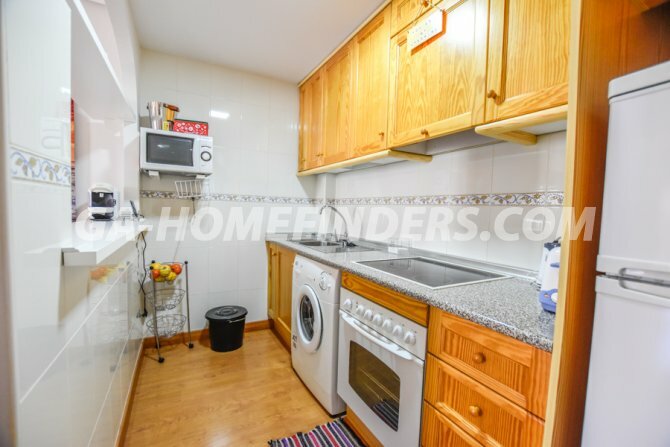 South facing top floor furnished apartment with 1 bedroom with a built in wardrobe and 1 bathroom which has a walk in shower. 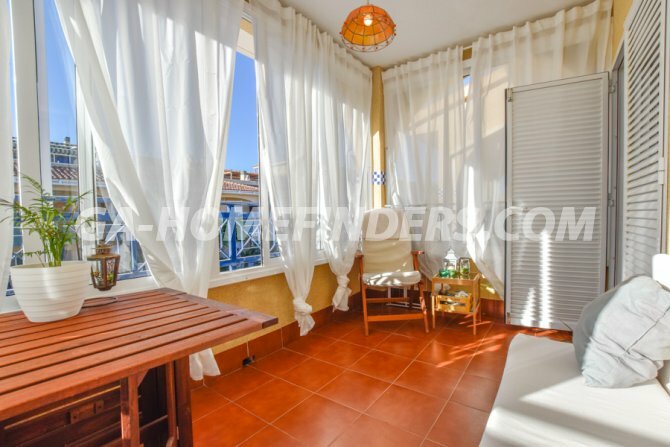 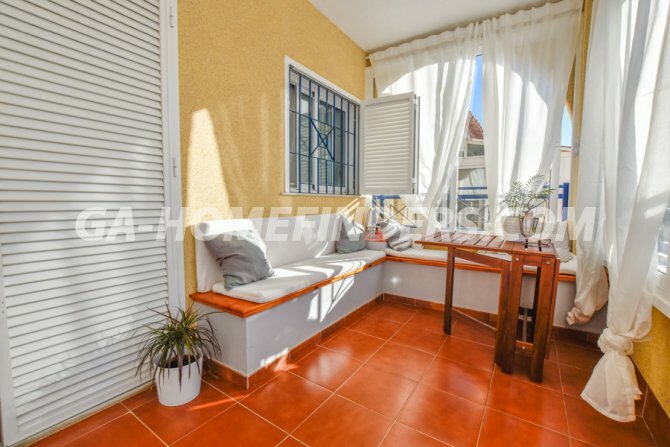 The property has been renovated with laminate flooring throughout and has a spacious glazed terrace. 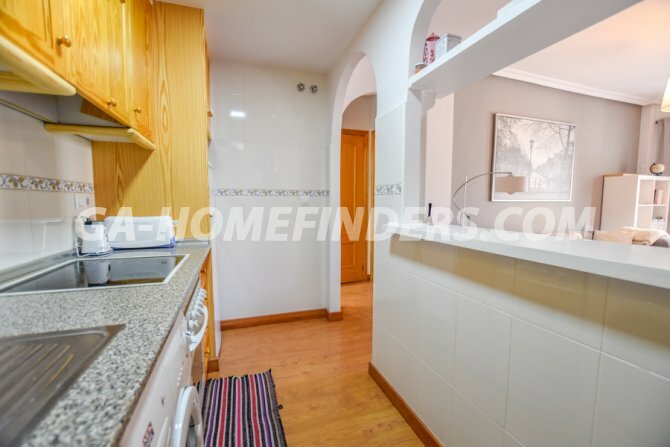 The open style kitchen has a space saving breakfast bar into the living room. 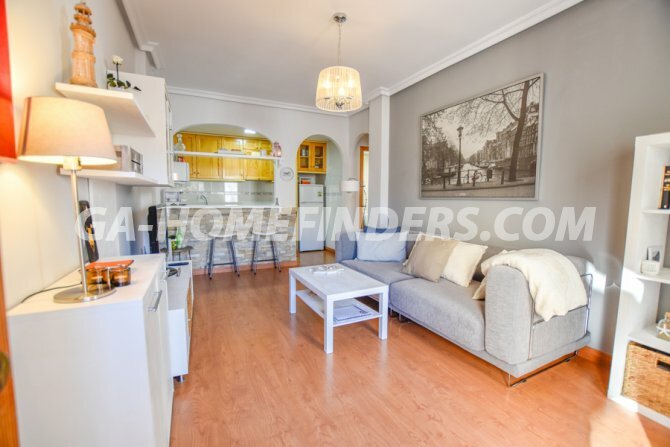 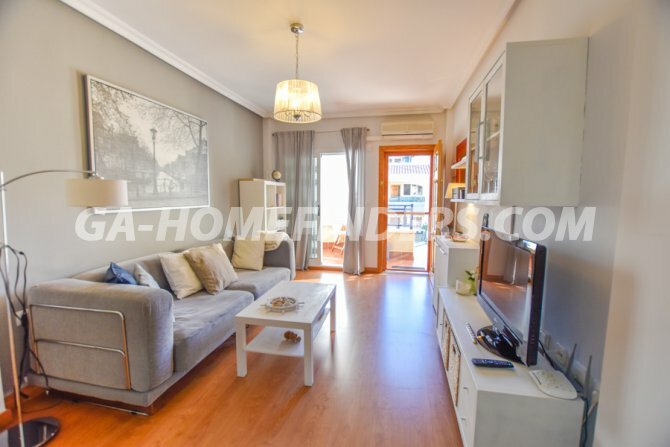 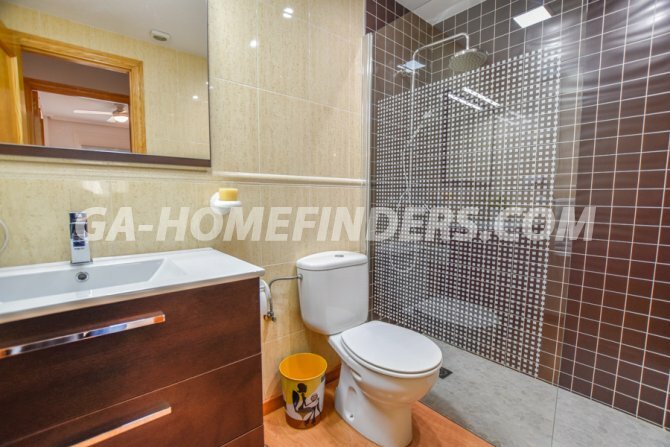 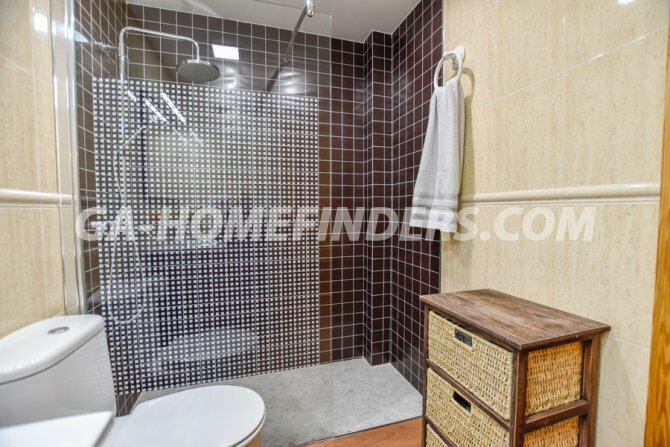 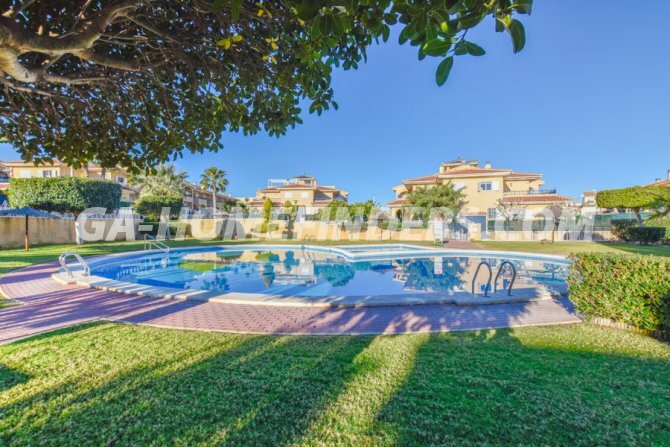 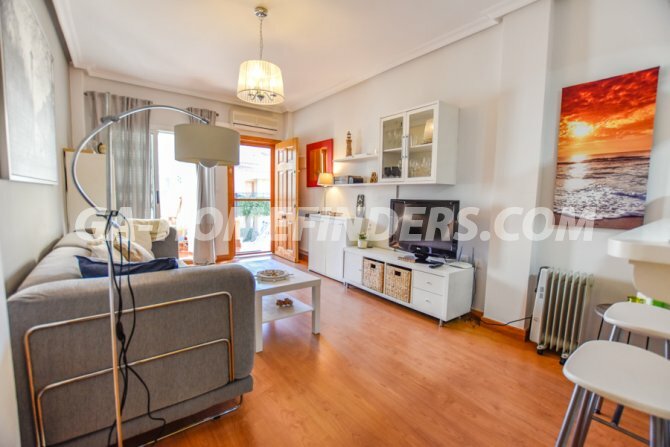 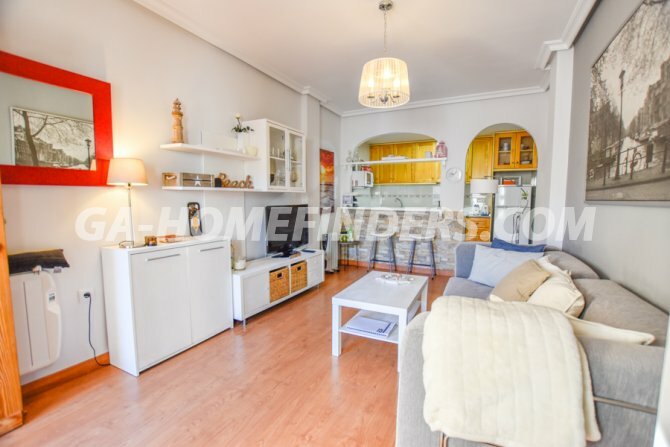 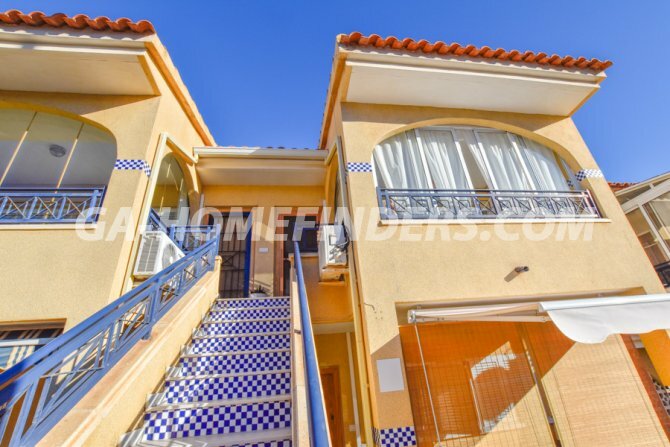 The property is located in the lower part of Gran Alacant in Novamar II which is a gated urbanisation with a communal pool and access to tennis/basketball courts. 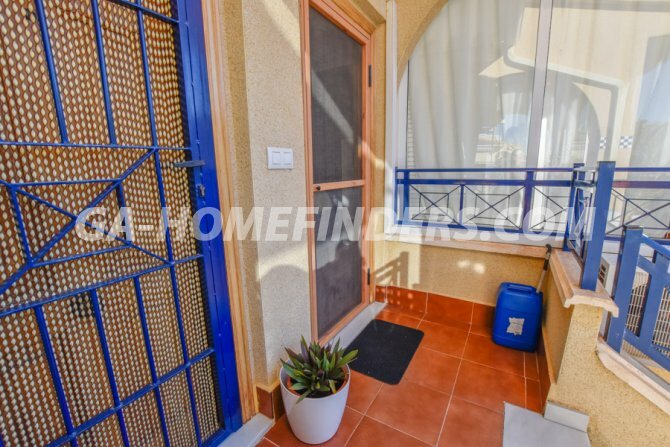 It is close to a commercial area with bars, restaurants, public transport and a primary school. 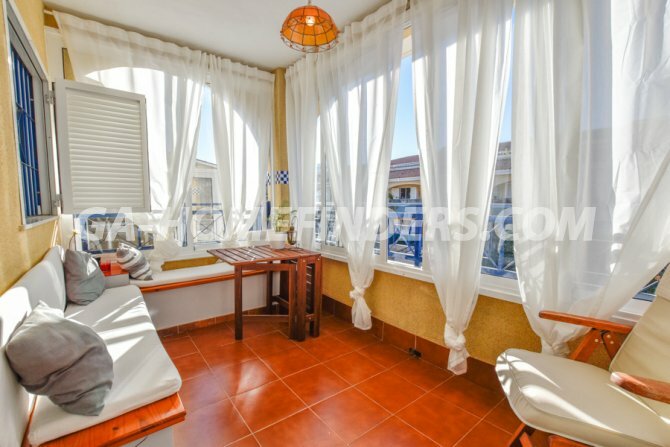 The Carabssi beach is within walking distance.